I don’t know how you celebrate Valentine’s Day, or even if you do, but if you’re anything like me, things are a little casual. My husband and I have been married almost 19 years, and we realized early on in our relationship that fighting 900 other couples for a spot at Olive Garden on Valentine’s Day is the opposite of how we enjoy spending our time. While the entire student population of the valley where we live might enjoy living out the early throes of their romances in public, we like to keep a lower profile on date night. Which is all just to say, we’re like every other boring married couple with kids out there. Staying at home in pajamas with Netflix and some take-out is basically my idea of nirvana. As long as I don’t have to wear Spanx and make polite conversation with a waiter over a bread basket, I’m golden. Oh, who am I kidding? I love a good bread basket. But let’s skip the binding shape-wear, mmkay? 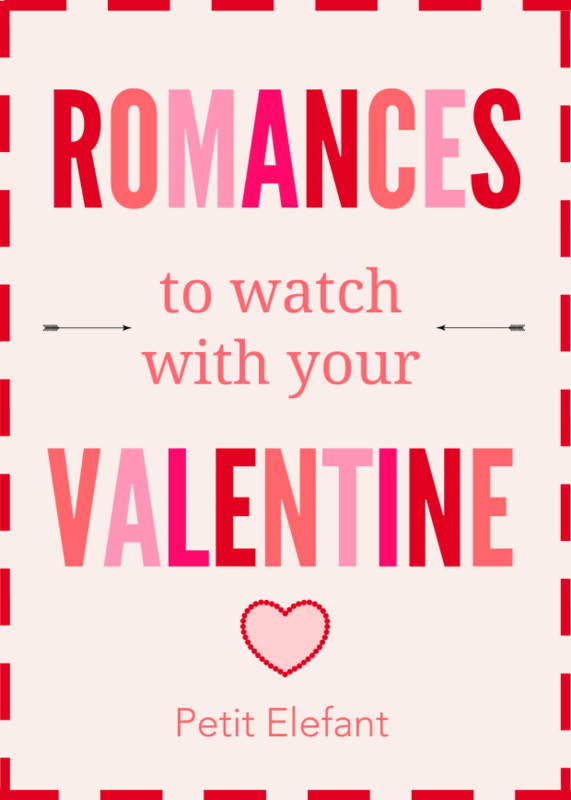 So, if you’re like me and enjoy a little Netflix and chill instead of fancy-pants Valentine’s Day celebrations, I complied a list of 12 romances to watch on Netflix with your Valentine this year. All but one (Becoming Jane, about the true love of Jane Austen) are light and fluffy romantic comedies.